"Alexa, turn it up to 11." In a move that Spinal Tap probably never saw coming, Marshall has launched its first ever smart speakers with Amazon Alexa control. The Acton II and larger, more powerful Stanmore II, part of Marshall's "Voice" lineup, are successors to the previous models of the same names. The big update is Alexa voice control, making it easier to find and change the name of the current artist or song, crank up the volume, and any other Alexa-related functions. Marshall was light on details, but the previous models had WiFi and Bluetooth support, along with multiroom and Chromecast audio, so we'd expect the new models to do that too. The Voice speakers carry Marshall's signature look and logo, along with class D amps and custom drivers for a "balanced and dynamic response." The $399 (£349) Stanmore II Voice goes on pre-order today, with deliveries starting October 2nd. Meanwhile, pre-sales for the the $299 (£269) Acton II start on October 2nd with availability on November 9th. Both will launch in the US and follow in other markets. 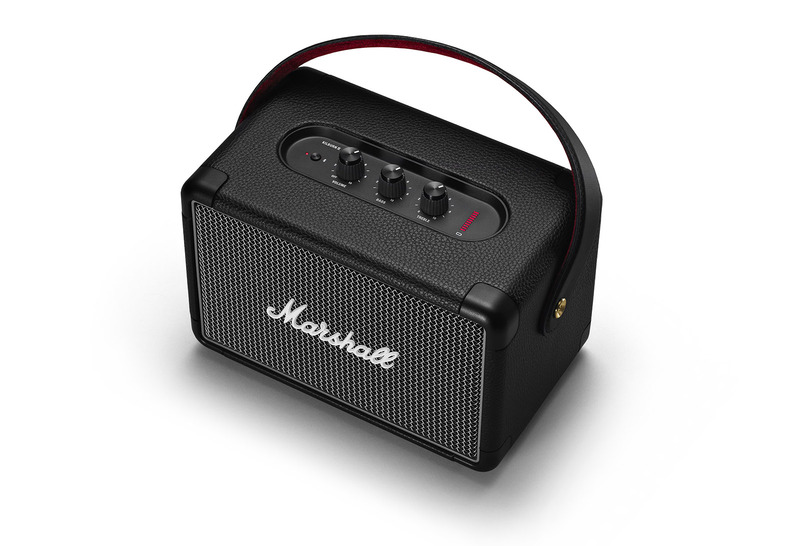 Along with the Voice speakers, Marshall unveiled a new portable speaker, the Kilburn II. It has a new look compared to the last model, and packs a lot of updated tech, including Bluetooth 5.0 aptX support for improved sound quality and more range, 20-plus hours of play time, multi-host functionality to switch between devices and an IPX2 water-resistant design. It also has a special "Blumlein stereo sound" system that separates spatial content "and reassembles the signal in a way that can be projected in all directions," providing an improved multi-directional experience, Marshall said. The Kilburn II is now available to buy from retailers and at the Marshall Headphones website for $299 or £269 in the UK.